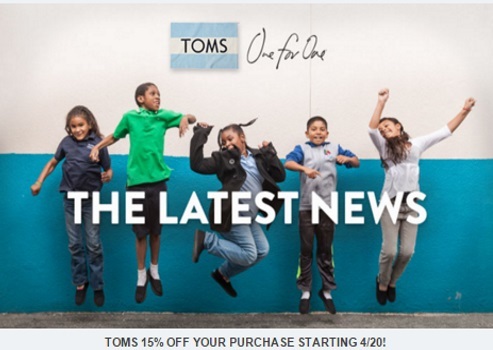 TOMS is offering 15% off your entire purchase on now on select full-priced items online with the promo code below! Enter the promo code GIVE15 at checkout. Offer is valid until April 26 2016. Click here to browse TOMS.